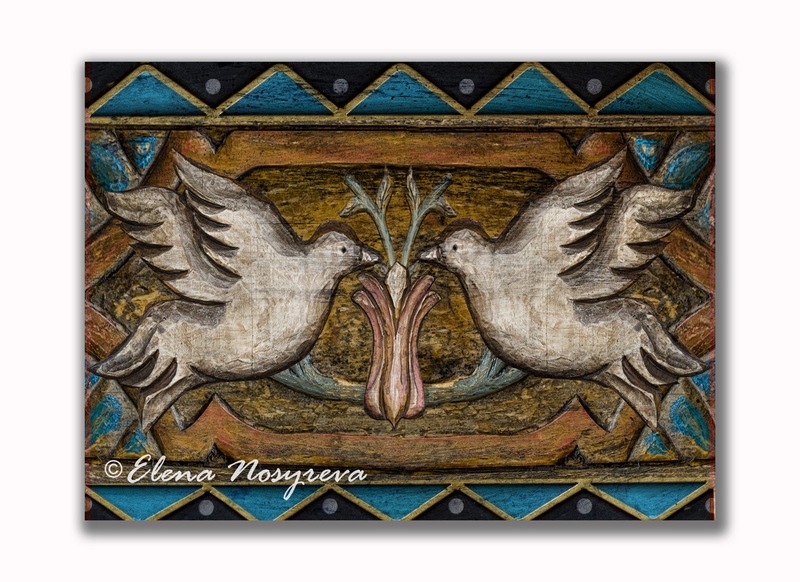 Who knew that the peace dove will bring war? But it's official - Carol L. and I started Bird Wars 2011. 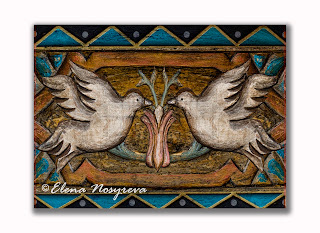 These are birds from a wooden carved door in one of Chimayo churches. Blue and black triangles are metal decor on the wall, dots, stripes and textures from here and there.